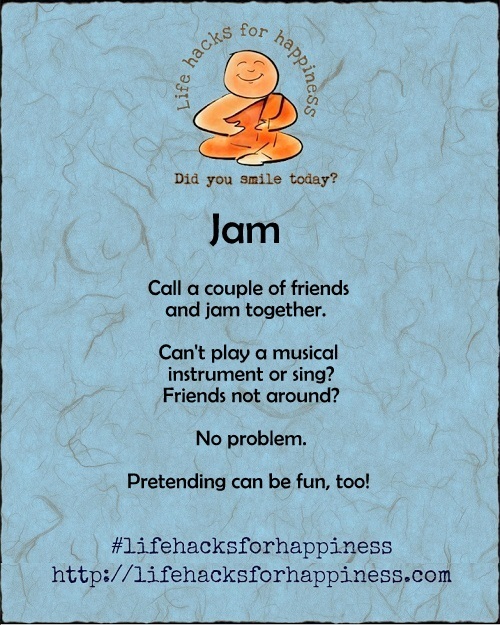 Call a couple of friends and jam together. Can’t play a musical instrument or sing? Friends not around? No problem. Pretending is fun, too. That’s the point. Fun.